Manchester United are in the hunt for a new centre-back during the summer transfer window. We have currently signed central midfielder Fred from Shakhtar Donetsk and right-back Diogo Dalot from FC Porto as Jose Mourinho begins to assemble a squad capable of challenging for the Premier League title next season. With Victor Lindelof failing to impress in his debut season following a £31 million transfer from Benfica last season and neither Phil Jones nor Chris Smalling seemingly in the long-term plans of the boss, we’re looking for a new man in the middle of our back four. Tottenham Hotspur’s Toby Alderweireld appears to be the top target and it’s understandable why we’ve come in for the Belgium international this summer. The 29-year-old is in the final 12 months of his contact in North London, and while Spurs do have a clause in his contract to extend it by a further year, it would include a £25 million buyout clause. Alderweireld only made 13 Premier League starts this past season, down to a combination of injuries and impressive form from Davinson Sanchez alongside Jan Vertonghen. 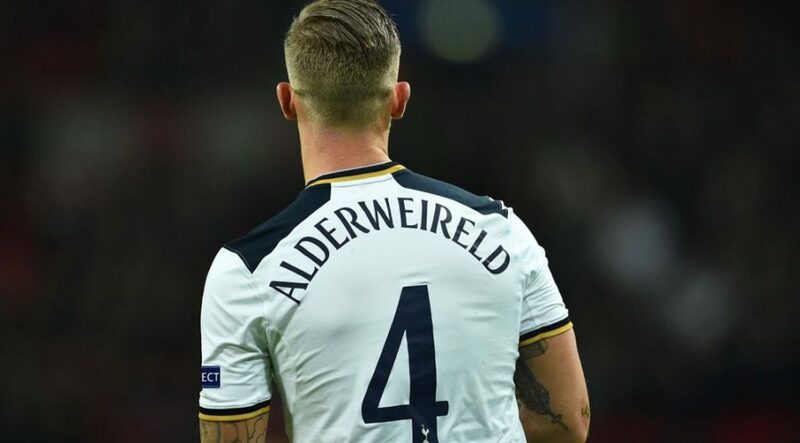 So, despite Tottenham having two good centre-backs throughout last season, it is now being reported that they are demanding more than the £55 million we have supposedly offered for Toby Alderweireld. The report in the Evening Standard claims that we have already agreed personal terms over a five-year contract with the defender with wages significantly higher than Spurs’ latest offer of £120,000-per-week. Toby Alderweireld would certainly be welcome at Old Trafford but the fee of £55 million already seems somewhat excessive given his age and next summer’s buyout fee. I am surprise Manchester United still want to pay £55m instead of £25m if report are to believe. Why there are young defenders to go for.